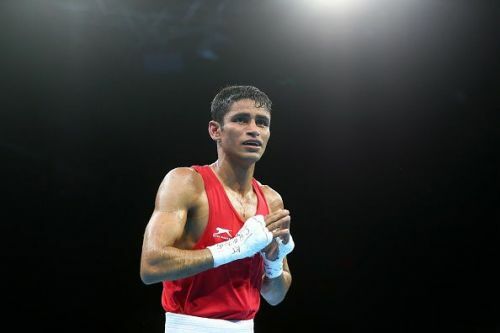 New Delhi, Dec 14 (PTI) Asian Games gold medallist Amit Panghal, CWG winner Gaurav Solanki, Mandeep Jangra, Sachin Siwach, Shiva Thapa and Gaurav Bidhuri are among the 50-odd boxers selected for the elite men's camp. The camp, which continues until January 15 next year, will be supervised by 14 coaches and headed by performance director Santiago Nieva. As per the standard guide line, the list will be pruned to 46 players and 12 coaches at the end of a trial conducted along with the performances review of the selected 50 players at the camp. The selected boxers then will be part of a camp starting from January 16, as the players will be trained for the upcoming Asian Championship in April and World Championship in September, which also happens to be an Olympic Qualifier. The camp will also be important for all these elite boxers as the final cut for next Olympics to be held in Tokyo in 2020 will also be done from these probable. C A Kuttappa, the Dronacharya Awardee, has been picked as the national head coach who will lead a battery of Indian coaches. The young coach, with his Army background, has an eye for talent hunting and is credited with the grooming of Vijender Singh and Suranjoy Singh.